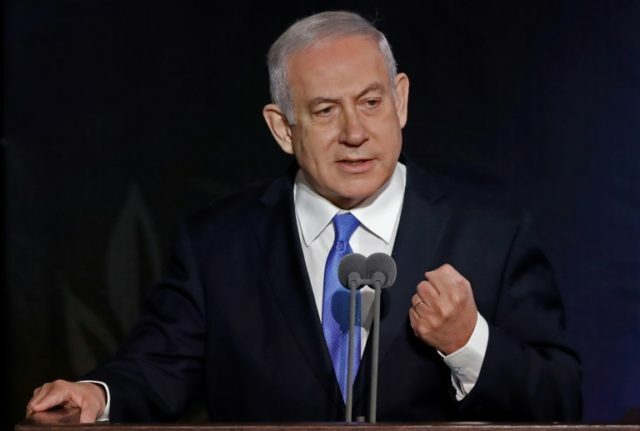 TEL AVIV – Prime Minister Benjamin Netanyahu warned that despite upcoming elections, Israel will not hesitate to act against Hamas in Gaza, and added that construction of a new barrier along the border with the Gaza Strip had begun. “Over the weekend we began building the above-ground barrier along the Gaza border. The barrier will prevent terrorists from Gaza from penetrating into our territory on the ground,” Netanyahu said at the start of the weekly cabinet meeting. “I would also like to make it clear: If the quiet is not maintained in Gaza, we will make the decisions even in the elections period and will not hesitate to act,” the prime minister added. According to the defense ministry, the barrier will be 20 feet high and stretch 40 miles along the border. It is being built along the same line cut by an underground barrier that is being constructed to prevent the infiltration of cross-border terror tunnels. Five Palestinians were arrested on Sunday after penetrating the current border fence in the southern part of the Gaza Strip. The new barrier would prevent future infiltrations of that kind, Netanyahu, who also serves as defense minister, said. During the weekly cabinet meeting, Netanyahu also responded to news that Iran had successfully fired a new cruise missile with a range of 800 miles in defiance of U.S. demands that the Islamic Republic cease expansion of its ballistic missiles program. “In Iran today they are marking 40 years since the Islamic revolution and are trying to boast about the new missile. Iran openly declares its intention to destroy the State of Israel,” Netanyahu said. “I have a clear message to the tyrants of Tehran: We know what you are doing and where you are doing it. We will continue to take action against Iran with all the tools at our disposal in order to ensure the security and future of Israel,” he added. The missile, called Hoveizeh, is said to be a high-precision weapon capable of flying at low altitudes and carrying a heavy payload.